ALLI Austria was close to giving up after failing to land a spot with Philippine clubs, but is glad to find a home on the road. After a stint with the short-lived Pilipinas MX3 Kings, Austria hoped to suit up for another local club but instead wound up joining the Singapore Slingers in the Asean Basketball League, thanks to Fil-American Kris Rosales. “I went home and thought things through. I didn’t hear anything. No teams called me or wanted me to pick me up,” said Austria, who was raised in San Francisco and played college ball for Skyline College and San Francisco State University. 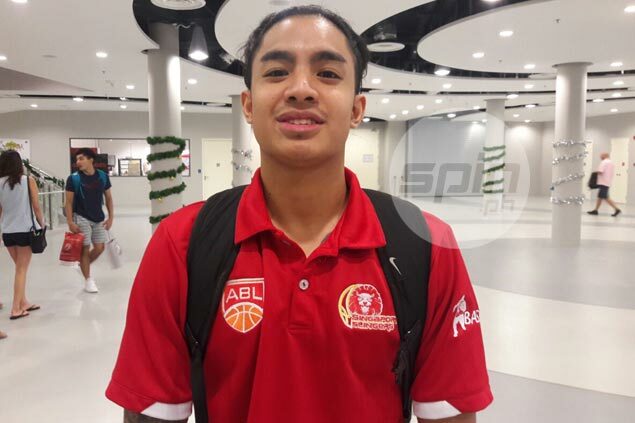 Not only did Austria get a tryout with the Slingers, now he has a path to follow in his bid to gain a place in a Philippine-based team — Rosales played for the Slingers before making it to the PBA with TNT Katropa. “It was actually Kris Rosales who put me over here. It was an opportunity that came up. I still want to play and I know I can still play. Singapore flew me out for a tryout,” said Austria. But he said he is not thinking that far ahead. “Right now, my focus is on this season. My goal is to do well and help the team succeed and hopefully, win the championship. If the opportunity presents itself for me to earn my way back, I’ll sit down and think about it. But right now, I’m focused on this season,” said Austria. Securing a spot with the Slingers was not easy for Austria, who didn’t earn his roster spot until after a month. “I tried out for a month, it took a lot of time, effort, and hardwork. They made me earn everything. I earned a contract over here and it’s a blessing to me to be still playing,” said Austria. Austria is grateful for Rosales for helping him keep his basketball career going. “I thought I was done. A lot of it goes to Kris Rosales. He is one of my good friends and I want to thank him for opening doors for me,” said Austria, now fighting for a spot in the Slingers rotation. “I’m still adjusting,” Austria told spin.ph.